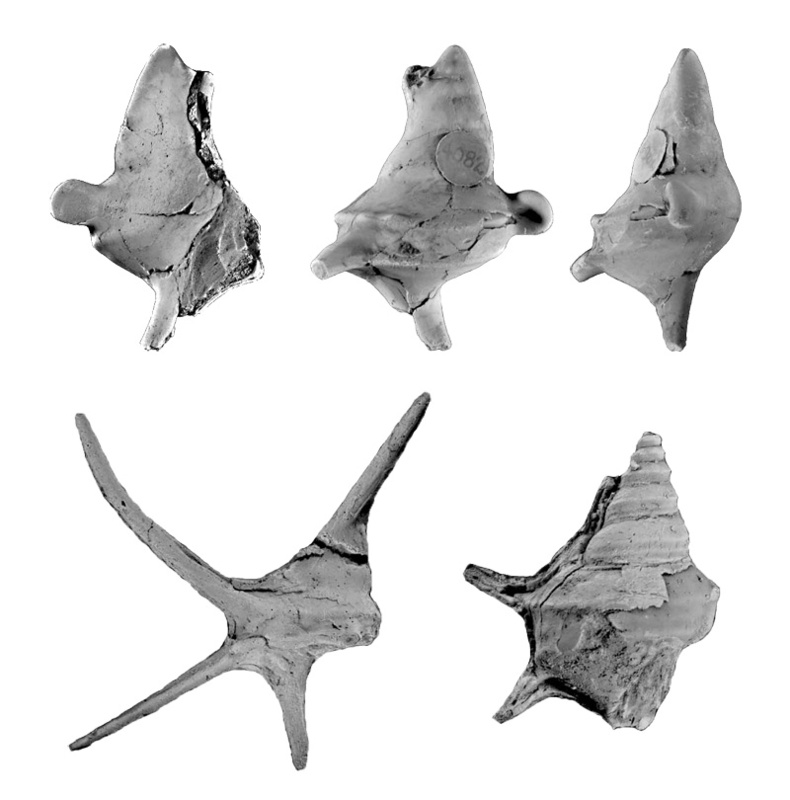 "Shell elongated; spire high; whorls five or six (from casts), slightly convex in the middle, so as to produce a faint undulation on the smooth surface of the spire. Apex usually flattened and somewhat twisted; at other times bluntly rounded. 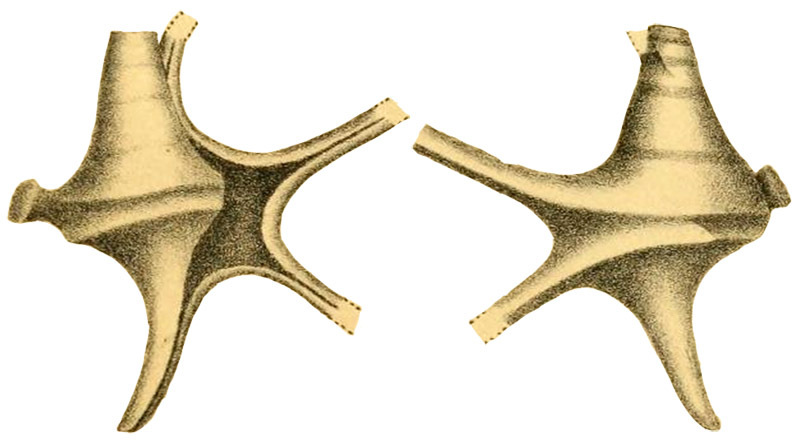 Surface of body bicarinate, bearing on the upper carina, at a point about o third of the circumference from mouth, a short, clavate process, abruply truncated at the end and flattened above and below, prominent and angular at the extremity. This is placed about half-way between the first and the outer lip. Aperture small, broad above, rapidly narrowed and prolonged below into a canal, which curves obliquely forwards and to the left. Above, the mouth is continued into a canal, which runs beside the spire for about two-thirds of its height, and then curves off obliquely backwards and to the right. 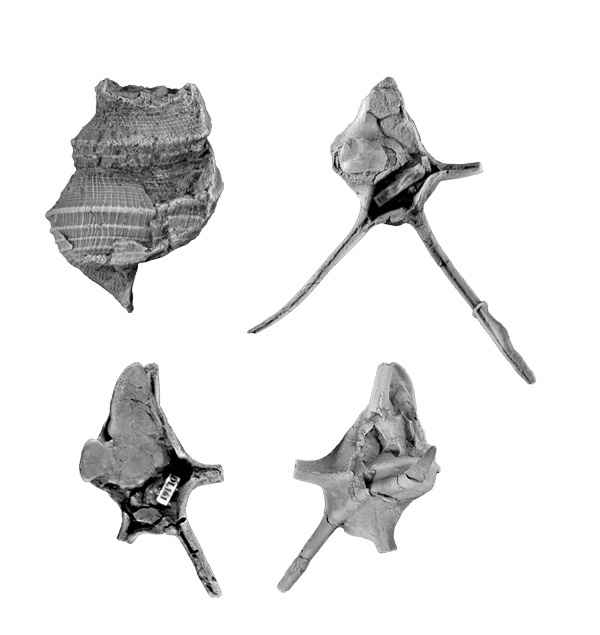 The outer lip is prolonged into two long, slender, channeled spines, continuations of the carinae on the whorl, which diverge rapidly, and which are not in the same plane, the lower one being directed much in advance of the upper." 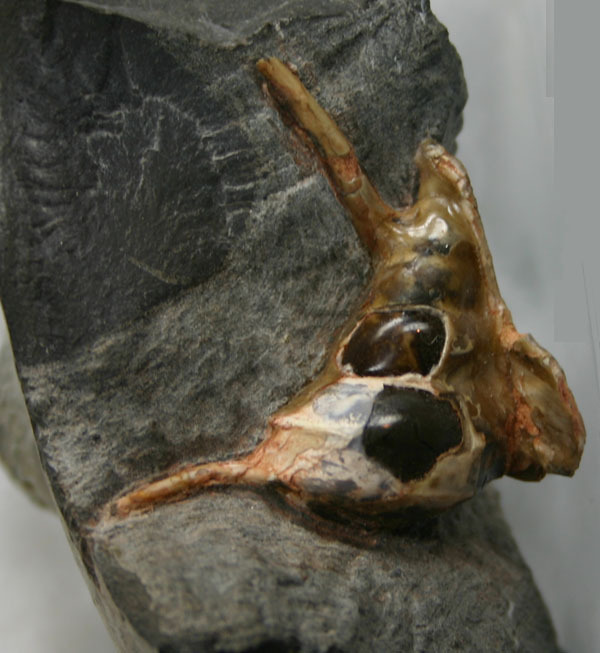 Tessarolax distorta in Saul & Squires, 2015; Paratype; upper Cedar District Formation, upper middle Campanian, upper Cretaceous; ��White House Site��, western Denman Island, British Columbia Province, Canada; Coll. no. RBCM.EH2011.007.0011; Copyright Natural History Museum of Los Angeles County. 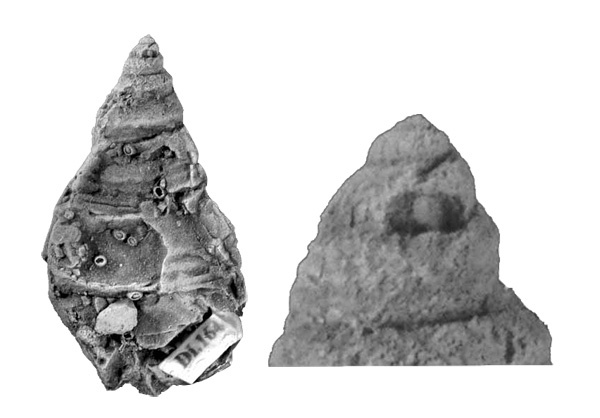 Tessarolax distorta in Saul & Squires, 2015; upper Cedar District Formation, upper middle Campanian, upper Cretaceous; ��White House Site��, western Denman Island, British Columbia Province, Canada; Copyright Natural History Museum of Los Angeles County. 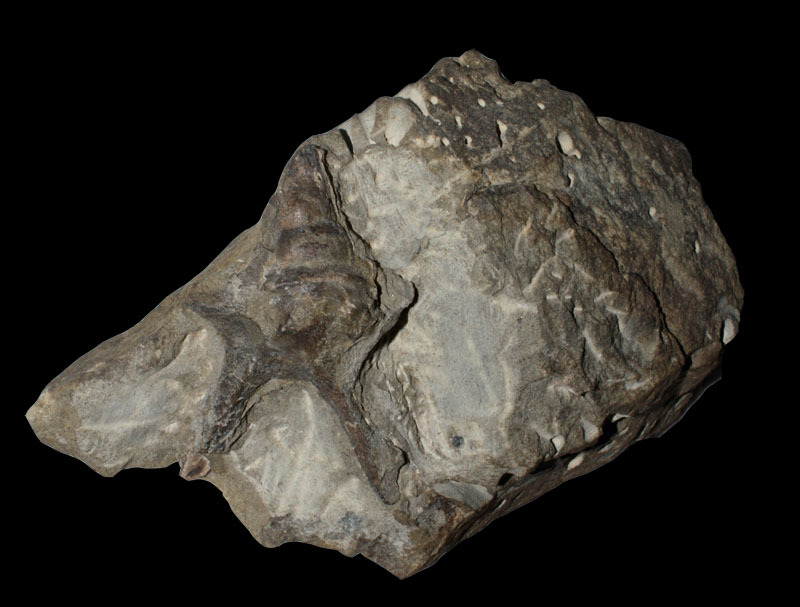 Tessarolax distorta in Saul & Squires; Copyright Natural History Museum of Los Angeles County.